Dr. Alexander Fedenko is a recognized pathologist in Los Angeles, California. He received his medical diploma from IM Sechenov Moscow Medical Academy, Moscow, Russia in 1980. Dr. Fedenko completed his medical education with a residency in anatomic and clinical pathology at UCLA Medical Center. He is certified by the American Board in anatomic and clinical pathology. His subspecialty is general pathology. 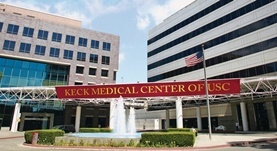 This doctor works in several hospitals in the area, including: USC Norris Cancer Hospital, Los Angeles County – USC Medical Center, Keck Medical Center of USC and Los Angeles Community Hospital at Los Angeles. He was awarded the honor Super Doc and Regional Top Doctor in 2014. He has published a lot of articles in collaboration with other doctors. Dr. Alexander Fedenko has contributed to 3 publications. Prognostic value of necrosis after neoadjuvant therapy for soft tissue sarcoma. Vaynrub, M.,Taheri, N.,Ahlmann, E. R.,Yao, C.,Fedenko, A. N.,Allison, D. C.,Chawla, S. P.,Menendez, L. R.; J Surg Oncol. 2014 Sep 02. Lipoma arborescens of the biceps tendon sheath. White, E. A.,Omid, R.,Matcuk, G. R.,Domzalski, J. T.,Fedenko, A. N.,Gottsegen, C. J.,Forrester, D. M.,Patel, D. B.; Skeletal Radiol.. 2013 Oct.